Mae Whitman is an American actress who began her career early in her childhood. However, there are not so many projects in her filmography. Whitman is known not only for her roles in movies and series but also for voicing characters in movies and computer games. Mae Whitman was born in Los Angeles on June 9, 1988. The voice actress Pat Musick and Jeffrey Whitman who later became Mae’s manager and coordinator were her parents. The actress had American and German roots. Whitman studied at Ribet Academy; all graduates who chose artistic professions entered any university they wanted. From early childhood, the girl got acquainted with the world of movies and television. At two, Mae debuted as a dubbing actress: she worked on the Tyson Foods commercial. Of course, the girl could not read at that time, and her personal coach Andrew Magarian assisted her. 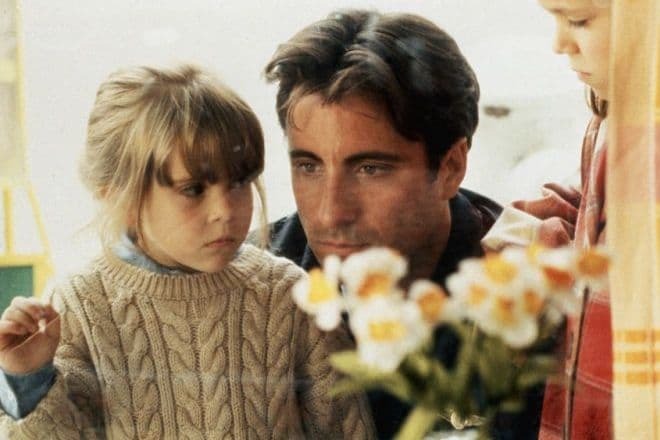 At six, the young actress debuted in a full-length movie: she played Casey, the daughter of Meg Ryan’s character in the movie When a Man Loves a Woman. The girl managed to surpass 700 candidates who also participated in the auditions. Thus, Mae appeared in an adult drama based on love and human flaws; critics believed she was brilliant. In 1995, the young talent took part in several movies: Bye Bye Love, Degree of Guilt, and Naomi & Wynonna: Love Can Build a Bridge. More projects followed soon. Eight-year-old May appeared in the fantastic action movie Independence Day and played the daughter of the president. The girl had the opportunity to work with Will Smith (Men in Black, I Am Legend, Hitch) and Jeff Goldblum (Jurassic Park, The Fly, Law & Order: Criminal Intent). Further on, the artist played the daughter of George Clooney’s character in the movie One Fine Day. Michelle Pfeiffer also participated in this movie. 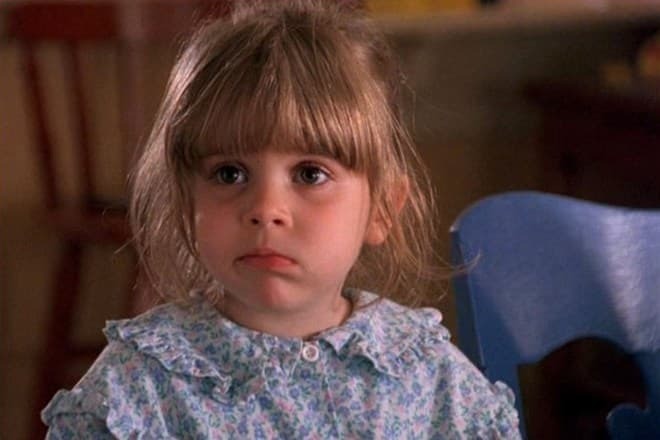 Soon, the girl co-starred with Sandra Bullock and played her daughter in the movie Hope Floats. 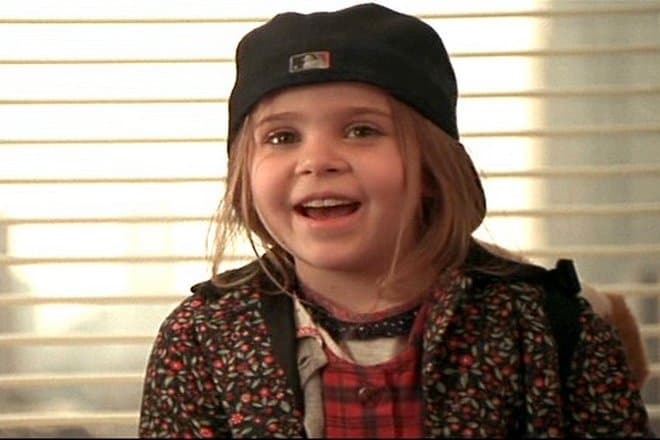 In 1996, the young actress became a guest star in an episode of the iconic series Friends: she personified a girl who sold cookies in the tenth episode of the third season. In 2007, Mae Whitman joined the cast of the horror Boogeyman 2; the first part came out in 2005. Mae’s character is an emo girl Alison who is at a mental hospital because she has allodoxaphobia, the fear of public opinion. In 2012, Mae got one of the lead roles in the movie The Perks of Being a Wallflower. It is the story about a shy teenager Charlie. As he grows up, his worldview transforms. Logan Lerman, Emma Watson, Ezra Miller, Nina Dobrev, and other actors worked on the movie. In 2015, the 27-year-old actress starred in the comedy The DUFF and played a school student Bianca Piper. The actress’s height is 155 cm., and her weight is 53 kg. : for this reason, she can easily personify a teenager. Mae’s character is intelligent but not so beautiful as her friends. Thus, she got the status of a simpleton, although she did not know it unless the handsome guy Wesley Rush (Robbie Amell) opened her eyes. As it happens, the exciting story begins. The American audience appreciated the movie: the box office was more than $34 million. The actress has appeared in many series: ER, Grey's Anatomy, Law & Order, Desperate Housewives, Chicago Hope, and others. These roles were significant but episodic. Although the on-screen time was limited, the audience welcomed her roles: the actress’s charm and veracity let her play perfectly. In the 2018 comedy crime series Good Girls, the artist finally got the lead role. The series pictures three tired women who decide to rob a supermarket and threaten the staff with toy guns. The premiere took place at the end of February; the second season has been recently announced. Besides, the actress voiced Batgirl in the animated movie DC Super Hero Girls: Legends of Atlantis. Voicing is a significant part of Whitman’s career. She also worked on Avatar: The Last Airbender (Katara), American Dragon: Jake Long (Rose), a series of Disney cartoons where the actress voiced Tinker Bell, and many other projects. In 2011, the series Parenthood came out. Miles Heizer became the actress’s stage partner. Before this project, the young people had collaborated on ER (1994), Cold Case (2003), and Ghost Whisperer (2005). After the series shooting, the actors posted their photos together on Instagram; many Internet sources also published their pictures: the young people fool around, hug each other often, and sometimes act like lovers. However, there has been no substantial evidence that Mae and Miles were dating. At the same time, some sources report the actors are just good friends who like to hang out together. Overall, Mae does not like to make her personal life public. The actress gladly shares the moments of her work and communication with people she meets every day, yet the woman avoids talking about her romantic feelings. Although the profession of an actress implies being public, Mae is pretty modest. There are no photos of Whitman wearing a swimsuit on the Internet. However, the artist does not hesitate to show her face without make-up on her personal social network pages. 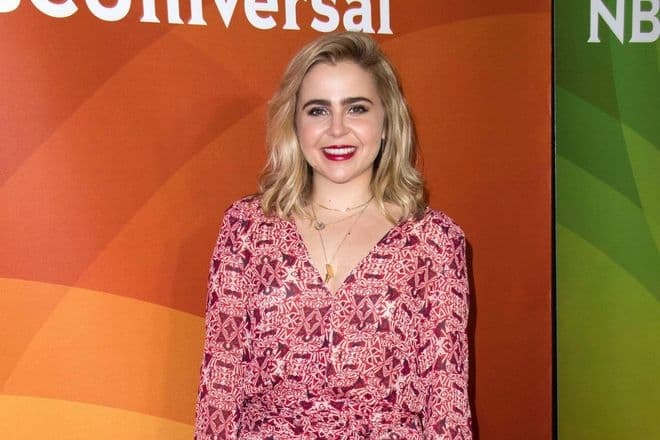 Nowadays, Mae Whitman works a lot; she participated in the second season of the series Good Girls; the premiere is scheduled for 2019. Besides, the actress is an active user of social networks: she shares the news about her life and shows her friends there.